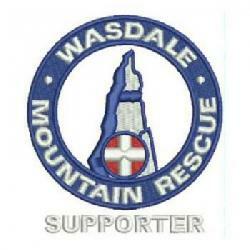 Police paged the team to respond to an incident on Broad Stand, Scafell . A group of five male walkers from the Midlands were descending from the summit of Scafell via the Broad Stand route when one of their party, a male in his late 40’s fell whilst climbing down the difficult rock step. He sustained fatal injuries. He was airlifted by RAF Valley later that afternoon. 12 Wasdale team members were involved in the rescue along with a Langdale Ambleside member and team members from Cockermouth MRT called in to assist. The incident was closed at 6.30 p.m.